Hello everyone! 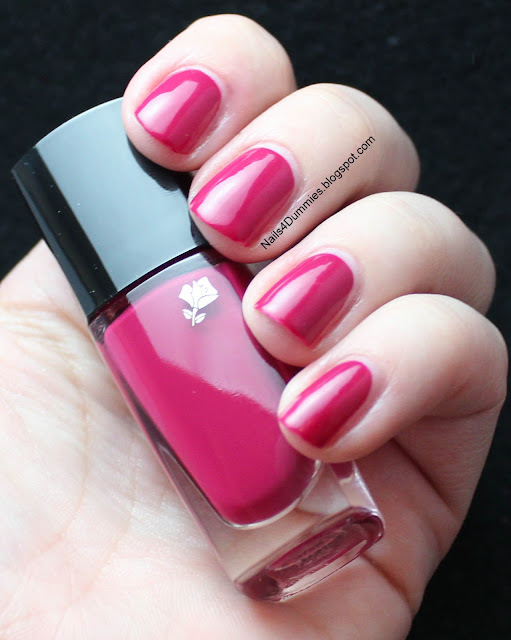 I'm back with part 2 of my 3 part review of some of the polishes in the Lancome Vernis in Love collection. For full disclosure purposes, I want to let you know that these were provided to me for review but I wouldn't let that affect my review, so no need to worry! Again, just as in part 1, the formula and application on all of these polishes was nothing short of perfect! It amazes me how time and time again, no matter what the color, the formula was completely consistent and applied like a dream. The polish stays exactly where you put it and I never had to worry about flooding my cuticles unless I was feeling extra clumsy! Each picture shows two coats of polish followed up by one coat of Seche Vite unless I note otherwise. First up is Miss Coquelicot (154M). Isn't she gorgeous? This is the absolutely quintessential red polish! I also want to mention that while this polish was perfect in 2 coats, I managed to bump my hand before it was dry so I added a third coat to cover my boo-boos. So this pic is three coats with no top coat and isn't she shiny and perfect? 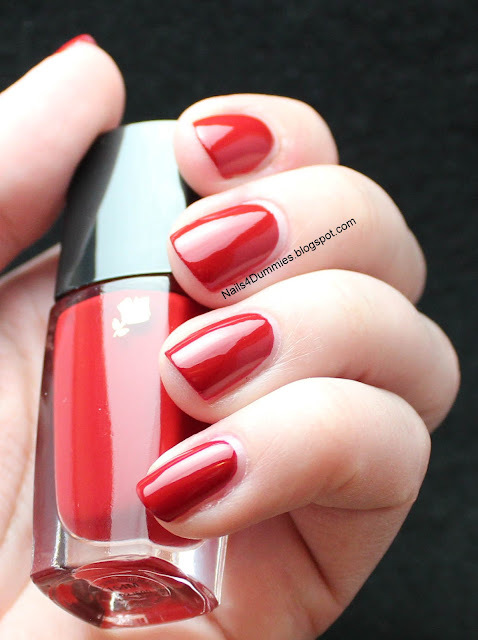 I just kept starting at my nails because this is such a perfectly striking pure red. I find it is very sophisticated looking and not garish at all - siiiiiiigh, perfection! Next up is Rose The and no, it's not "the", it's the French word for tea but I have yet to figure out how to get the proper accent mark over my "e" and I'm too lazy to figure it out now! I was totally "meh" over this color. It honestly reminded me of my grandmother and wasn't flattering on my skintone at all! Then we have Violette Coquette (419B). I really liked this shade as it was completely unique in my stash. It's perfect for Spring and I don't think these pictures quite do it justice. Next up is Noir Caviar (585N). I love a good grey and this was a gorgeous dark grey. I'm not a fan of colors that aren't black but appear that way because if I want my nails to look black then I'll wear black! I was worried that this polish was going to be one of those but it surprised me that as dark as it was, I wouldn't mistake it for black at all! Can you see that hint of blue in there? I love it!! Finally we have Rose Boudoir (375B). This is one that I already owned and love completely. 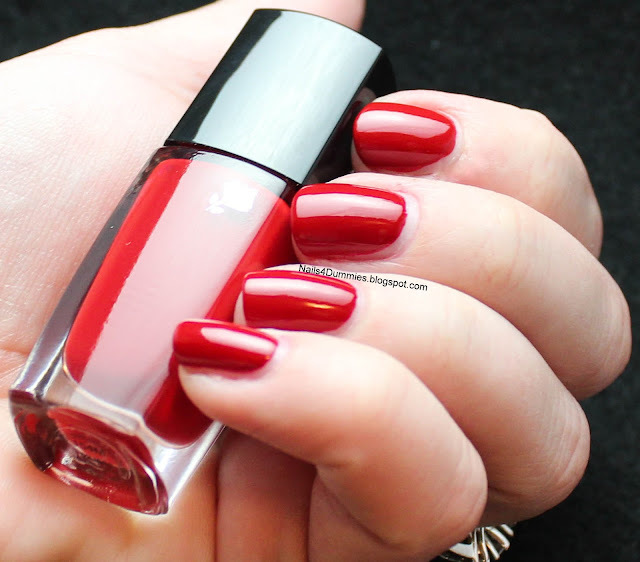 It's a beautiful deep raspberry shade and is very complimentary on my skintone! I love how pigmented and saturated this color is and I'm so happy to have a backup bottle because I'm pretty sure I will be needing it! Which is your favorite from part 2? Have you found any colors that would make you willing to pay for one of these precious gems? 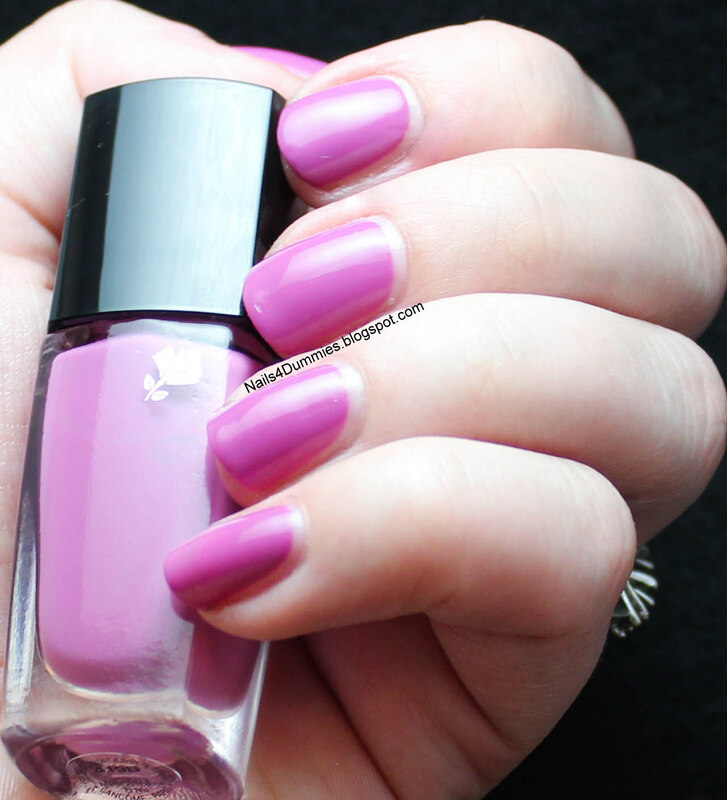 I honestly think that everyone should own at least one bottle of Lancome polish, it truly is perfect and I'm pretty sure I sigh while I'm applying it every time! Also, even though it's painful to do it, these polishes are amazing for watermarbles and stamping too although not the most cost effective! All beautiful and all beautiful pictures. I think Noir Caviar is my fav. Thanks! 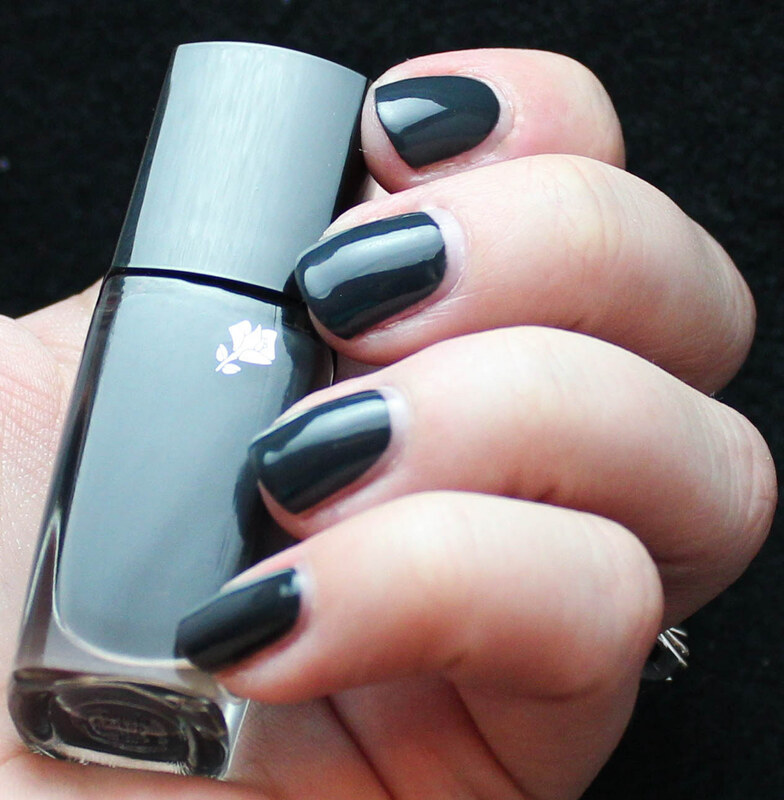 Noir Caviar is gorgeous, I think I would love a cashmere sweater in that color! I actually love them all. They look so nice and creamy!! Great colors. If you don't own one, I highly recommend it, they are soooooo nice! 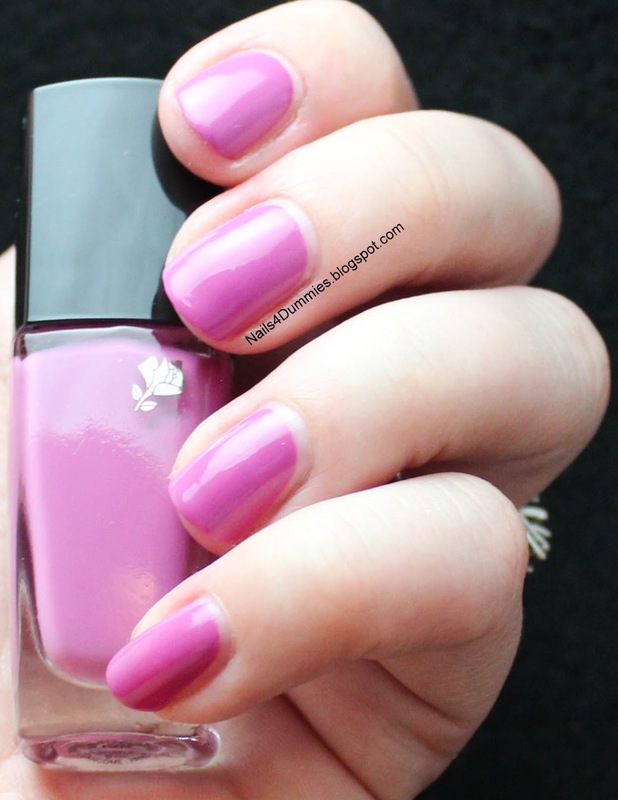 I love all of these colours, but Miss Coquelicot is my favourite! I love me a good red! I'm with you there Sarah! I'm a sucker for all red polishes ans Miss Coquelicot is no exception! Stunning! It's such a perfect color and so rich! Merci! Je t'aime Miss Coquelicot aussi! Je parle Francais en peu. Bienvenu ma blog! I just ordered Rose The and Beige Dentelle thanks to your posts!